For over 100 years, Hamilton Beach® has been making products for both home and commercial use. Our product quality, wide variety of options, superior design, and performance continue to earn us praise from consumers. We are committed to helping make your day a little easier, more creative, and flavorful through Good Thinking®. This is applied to the style and function of all of our small appliances. Hamilton Beach Professional takes Good Thinking® to the next level. Our internal Good Thinking® team is devoted specifically to researching how people actually use the products in their home, and they work hard to understand how we can make them better. This helps us develop unique products that ultimately solve problems and address unmet consumer needs. As a result of our research and experience with commercial products, we have created a new line of appliances for home use, developed with professional-level components, durable quality construction, attention to detail, and exceptional performance. Thoughtful features like precise speed control, convenient pre-programmed settings, and powerful motors to push through any job will make your time in the kitchen easier and more enjoyable. Since inventing the electric drink mixer in 1911, Hamilton Beach continues its innovation for the home and commercial marketplace. Hamilton Beach Commercial is highly regarded for products found in hotels, restaurants, and bars worldwide. The full line of our products offers smart solutions and technology engineered in the USA and reliability and durability built to stand the test of time. 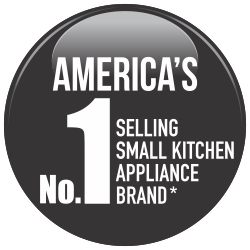 Hamilton Beach is America’s #1 appliance brand in kitchen electrics* and sells over 33 million appliances in the United States annually and is expanding rapidly in global markets. *Source: The NPD Group, Inc./Retail Tracking Service, September 2013 – August 2014, unit sales.